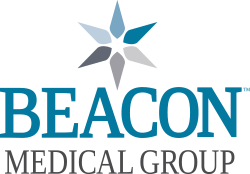 At Beacon Medical Group Bittersweet Commons, we treat the whole person. Our team is here to help you and your entire family stay well. We offer innovative, comprehensive and compassionate care and hope to form lasting, caring relationships with our patients and their families. Beacon Medical Group Bittersweet Commons was the first practice in Indiana to become a Certified Level 3 Patient-Centered Medical Home by the National Committee for Quality Assurance. As a patient-centered medical home, we use an innovative model of care where you have a direct relationship with you provider and health care team who take collective responsibility for your care and arrange for appropriate care with other qualified providers as needed. Because the patient-care focus is an ongoing partnership with open communication, our physicians and nursing team establish in-depth care plans with goals, identify any barriers to meeting those goals, and educate and empower our patients on ways to better manage their health. We offer many family medicine services, including adult medicine; pediatric care; immunizations; preventive health care; school, sports, and camp physicals; gynecology; class II and III aviation medical exams; and lab services Tuesday and Thursday mornings from 8 a.m. to noon.